Earlier this year, WhatsApp betrayed its longstanding commitment to privacy when it announced that it would share user data with its parent company Facebook for the purpose of selling ads. Today, a German regulator announced it is putting the brakes on Facebook’s plan. The city of Hamburg’s data protection commissioner ordered Facebook on Tuesday to stop collecting and storing data on WhatsApp users in Germany, the first time a privacy watchdog has waded into the debate. 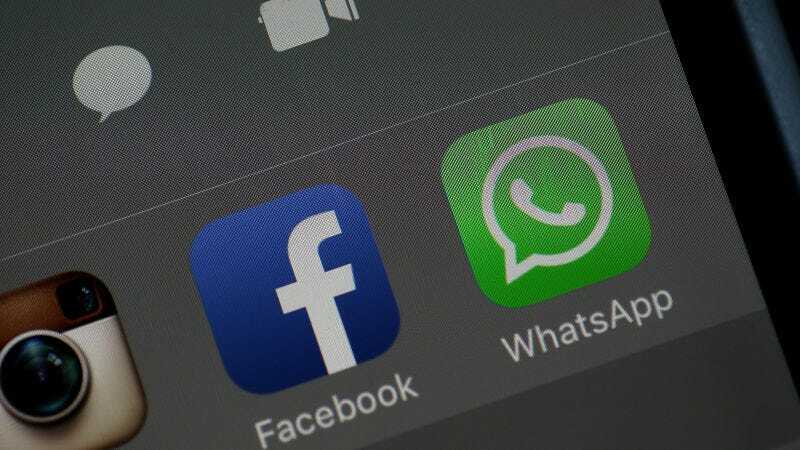 The regulator, which has authority over Facebook’s activities across Germany, also called on the social network to delete all information already forwarded from WhatsApp on roughly 35 million German users. I can’t say I’m not at least a little bit envious of the Germans for delivering this privacy smackdown to Facebook. The reality is that by Facebook sweeping up your data from yet another application to add to its massive databases so that it can better make money off your personal information has exactly zero benefit to you as a user and helps Facebook line its already overflowing pockets. The company hasn’t been forthcoming with what data it is collecting exactly, and some of the data points it is willing to admit it is collecting make me slightly nauseous from a privacy standpoint. Sure, Facebook has to recoup the $19 billion it spent to acquire WhatsApp in 2014. But sweeping up even more of your data from a supposedly privacy conscious app maybe isn’t the best way to do it if Facebook really cared about the privacy of its users.